It’s fair to say that GPS trackers have come a long way in recent times. 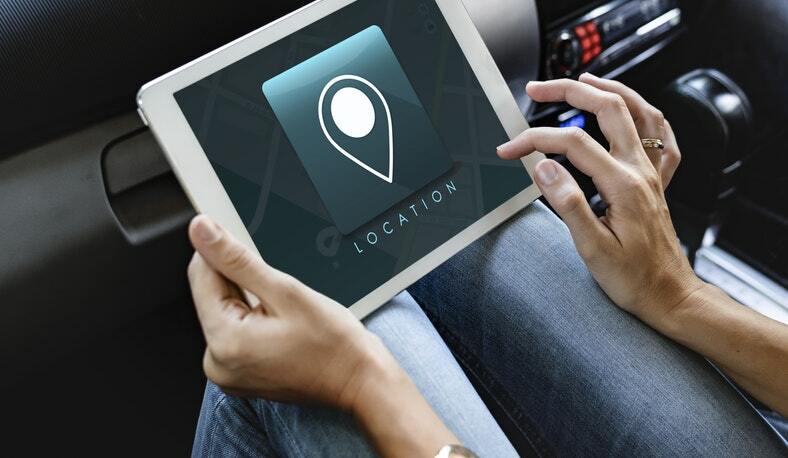 Most commonly installed to recover stolen vehicles or to track the movements of a vulnerable loved one, advancements in technology have allowed GPS receivers to become much more reliable and easier to use. Now available in compact, light-weight designs and offering real-time tracking capabilities, these gadgets have rapidly become an absolutely essential security measure. However, they’ve become much more than just a simple anti-theft device, as businesses start deploying innovative fleet GPS systems to improve delivery times and enhance customer satisfaction. After all, such is the competitive nature of the modern marketplace, businesses are having to find new ways to impress customers and stay ahead of their rivals. But how exactly can GPS fleet tracking help to keep customers happy? GPS tracking works through a network of 24 orbital satellites, which send signals down to compatible devices and enable them to pinpoint their exact location. For people charged with managing an entire fleet of vehicles, this technology allows them to monitor the position, fuel consumption and routes of their drivers through an innovative mapping panel. Although GPS tracking obviously allows businesses to keep track of drivers’ movements and improve productivity, the biggest benefits of this technology will undoubtedly be felt by the customers. Since they’ll be able to monitor the position of their fleet in real-time, businesses can use GPS trackers to find the fastest, most efficient routes for their drivers. By flagging up any potential traffic issues, highlighting areas with roadworks and taking the different speed limits into account, fleet trackers can ultimately ensure drivers reach their destination as fast as possible. Of course, the resulting improvements in delivery times are bound to make customers very happy indeed, while you’ll also be able to provide them with more accurate details as to the progress and status of their delivery. When you’ve got such efficient routing and communication in place, you can make sure drivers are consistently on time and always offer a fantastic service. When you’re able to find the quickest routes for your vehicles, you’ll inevitably make significant improvements to the productivity of your fleet. Perhaps more importantly, however, you’ll also stand to make substantial savings on fuel costs and reduce the risk of having to pay staff for overtime, while the use of GPS technology could also result in reduced insurance premiums. These savings can ultimately be passed on to customers in the form of lower delivery charges, special discounts or another form of price deduction. Either way, nothing makes customers happier than falling prices and better value for money. Working with customers has always involved in dealing with complaints from time to time, and the implementation of GPS trackers could potentially revolutionize your complaint management procedures. Instead of debating whether a particular complaint is genuine, you’ll be able to refer to your GPS tracking system to check on the status and movements of the delivery in question. For example, if a customer is complaining about late arrival, you can use your GPS data to find out whether that vehicle was on time or not; allowing you to resolve the complaint quickly and leaving the customer feeling incredibly satisfied with your service. Additionally, effective GPS fleet management helps you provide a fast, cost-effective solution to the majority of complaints. By tracking the real-time movements of your vehicles, you’ll be able to respond to an urgent situation by dispatching the driver nearest to the location in question, delivering a faster response and efficiently resolving the situation. When you’re able to deliver such a fantastic service, the reputation of your business will only be enhanced, resulting in a growing customer base and increased profitability.